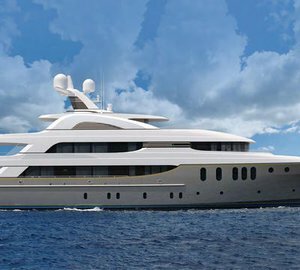 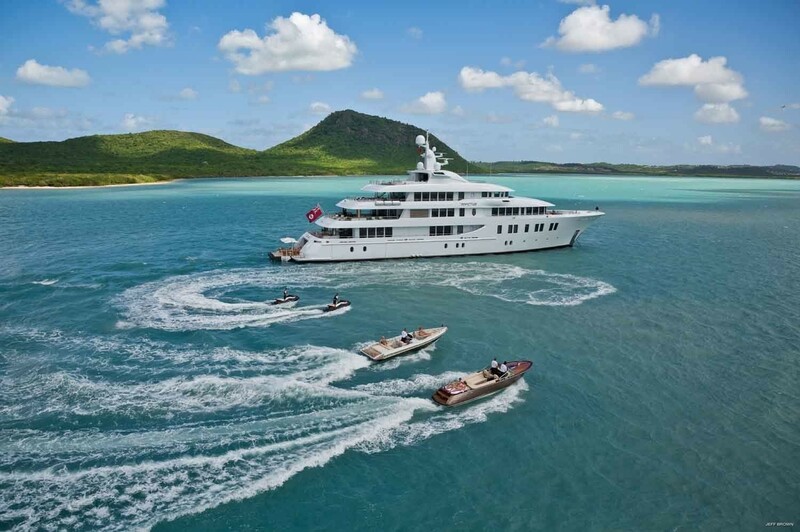 Launched by Delta Marine in 2013, the 66m/217ft Custom Superyacht is comprised of a steel displacement hull and aluminium superstructure with naval architecture and exterior styling from Delta Design Group. 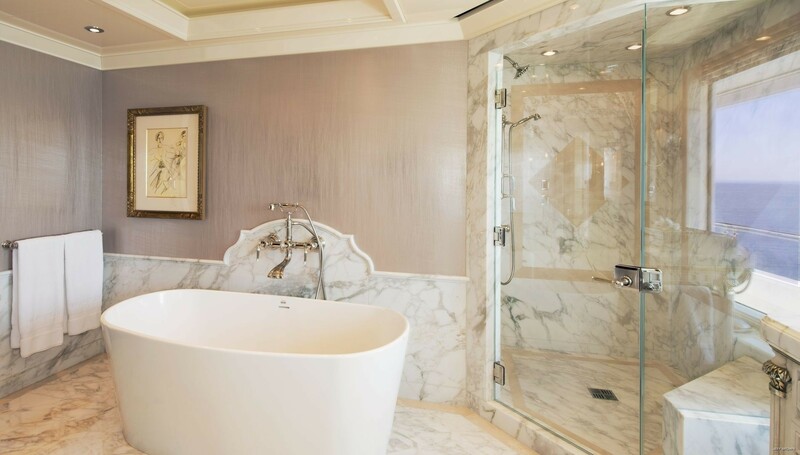 Diana Johnson Design completed her interiors in conjunction with Johnson, Wen, Milder & Associates. 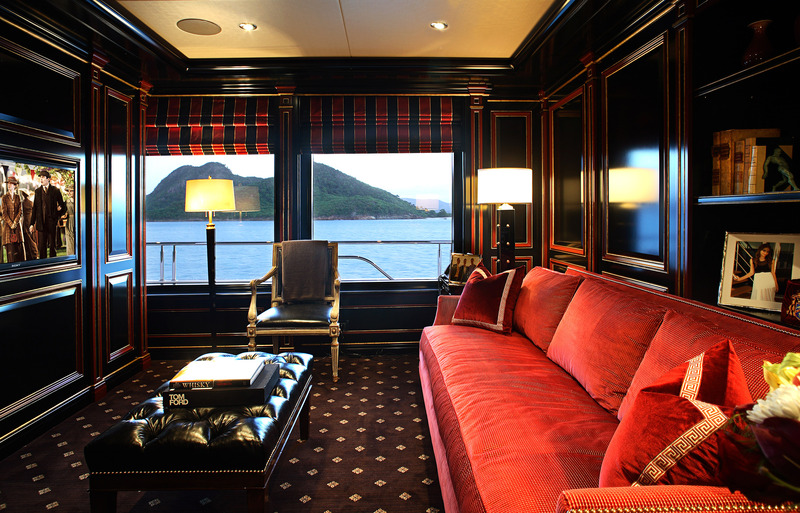 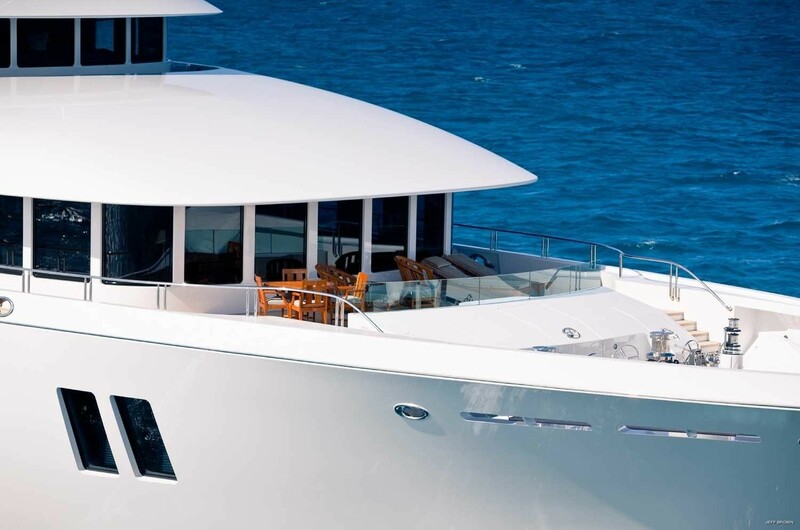 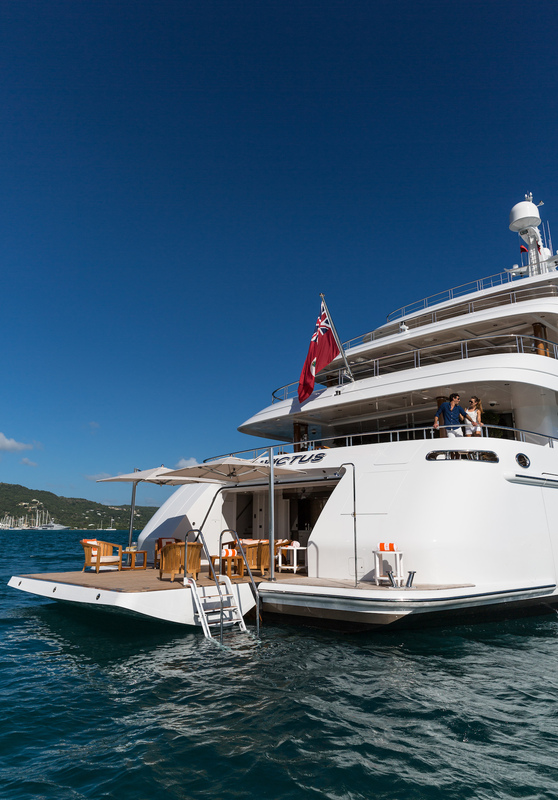 On the lower deck, there is a large swim platform where guests can disembark from the tender and enter the beach club or use the staircase to access the main deck aft, where two L-shaped sofas look out across the stern. 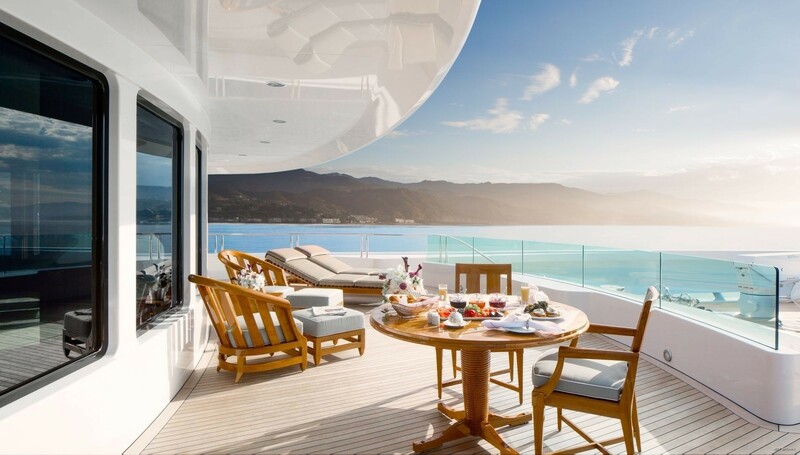 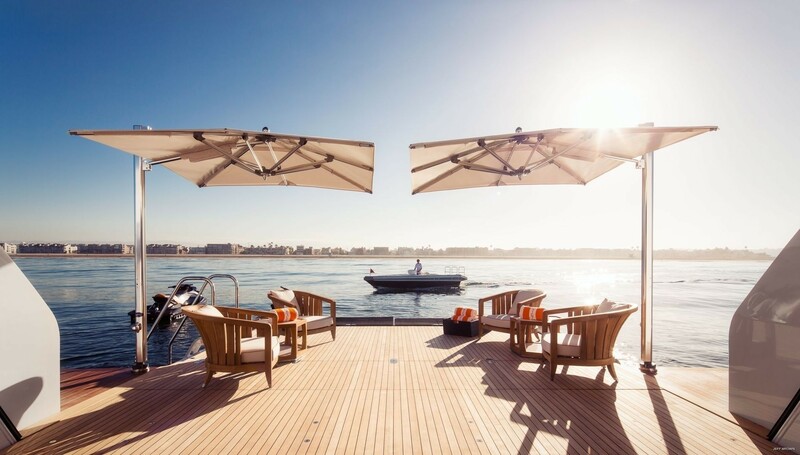 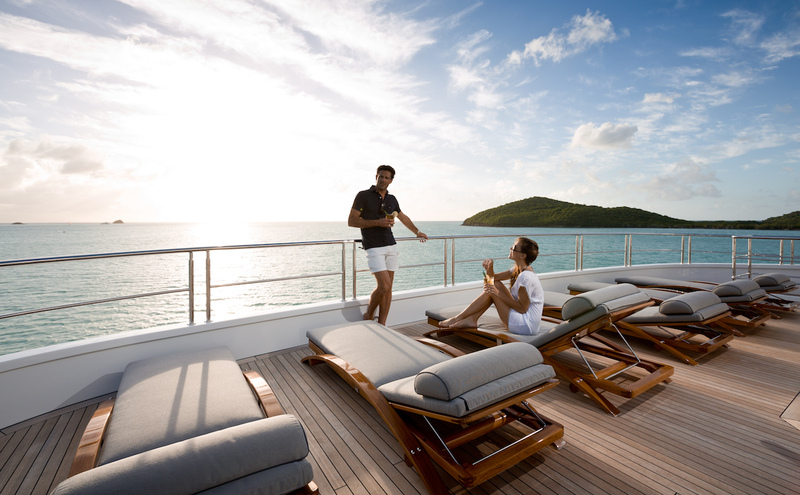 Above, the Owner's deck can be used privately or shared with other guests and contains a variety of seating arrangements to suit the occasion, from early morning coffee to games, dining and sunbathing. 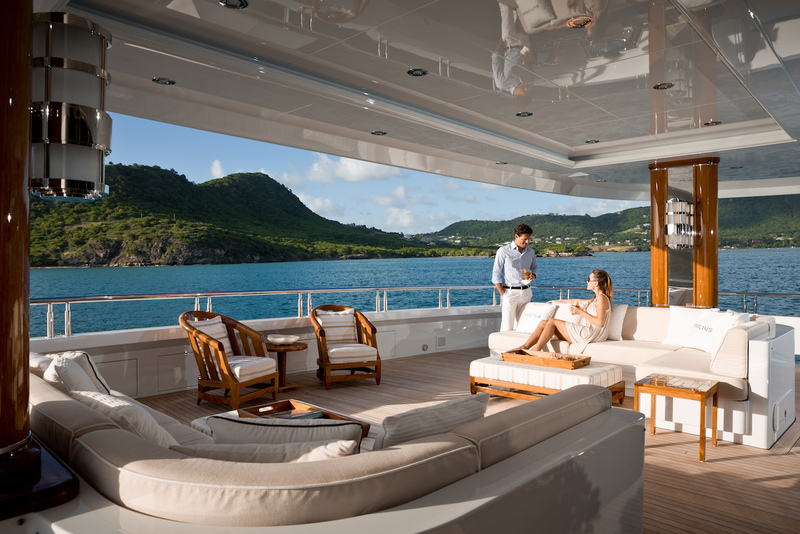 The vast foredeck in front of the Owner's suite can be used as a private terrace where guests can enjoy outdoor tranquillity while sunbathing, dining or spending time with hobbies on the sofa. 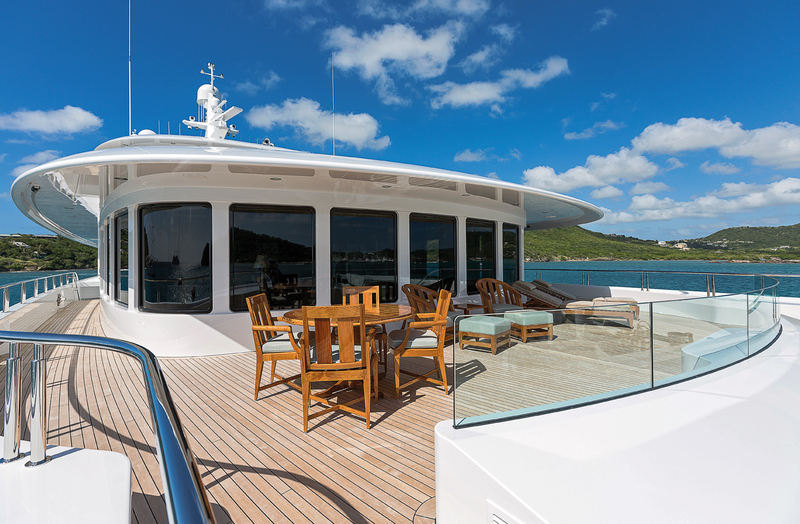 The bridge deck aft has a large circular alfresco dining table to seat up to 10 guests within the shade of the sundeck overhang. 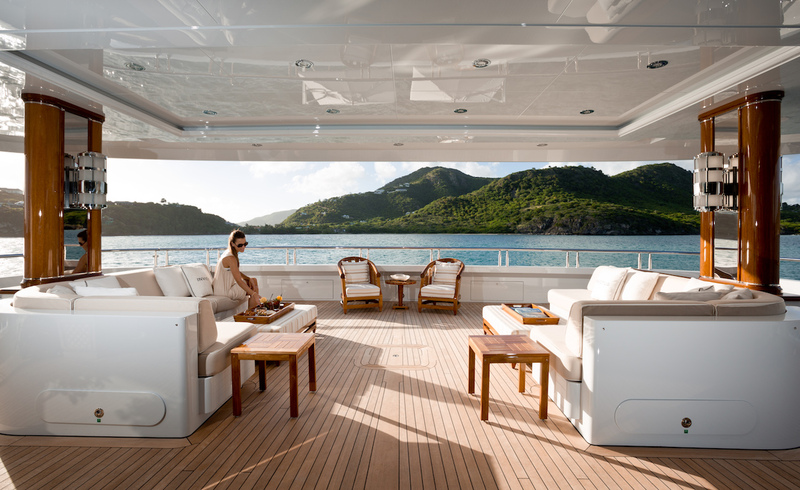 Stern-side seating ensures that guests have plenty of opportunities to remain outside to take in the incredible locations and ceiling lighting will ensure that meals and conversation can continue late into the night. 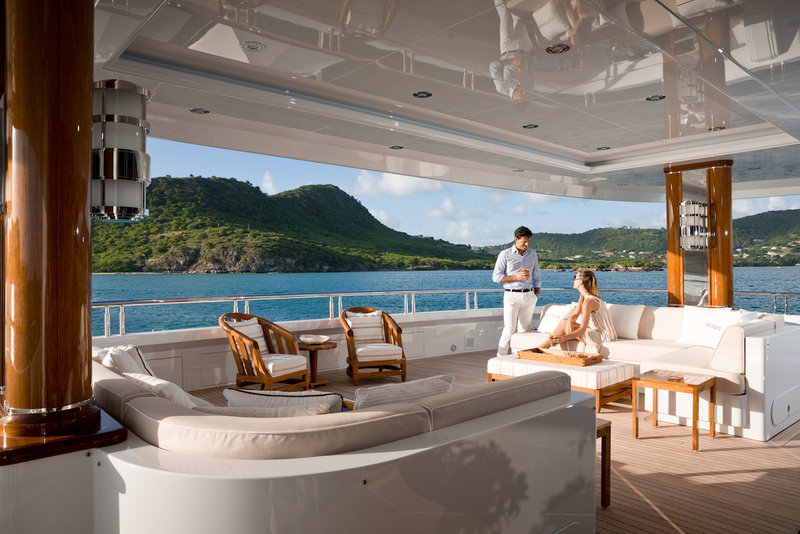 The sundeck is the most impressive outdoor socialising space on board, surrounded by panoramic views while offering a variety of amenities. 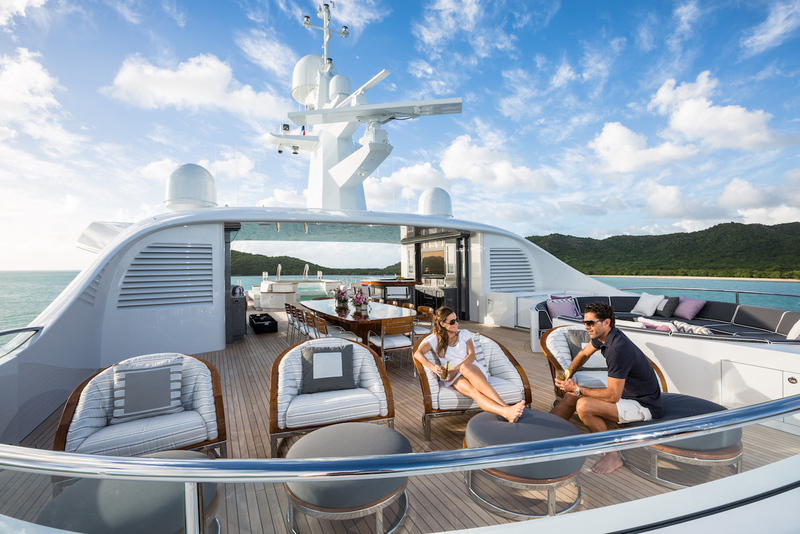 The forward section is designed as an alfresco dining area with curved seating creating a cosy spot for the family to gather together. 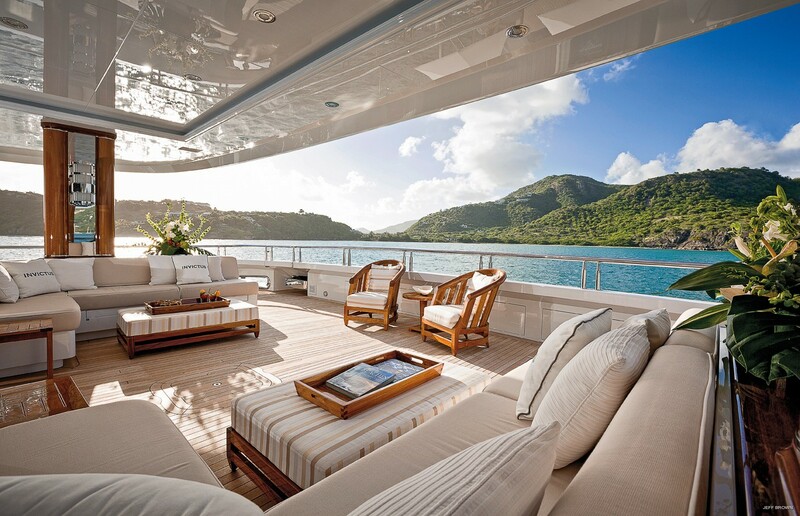 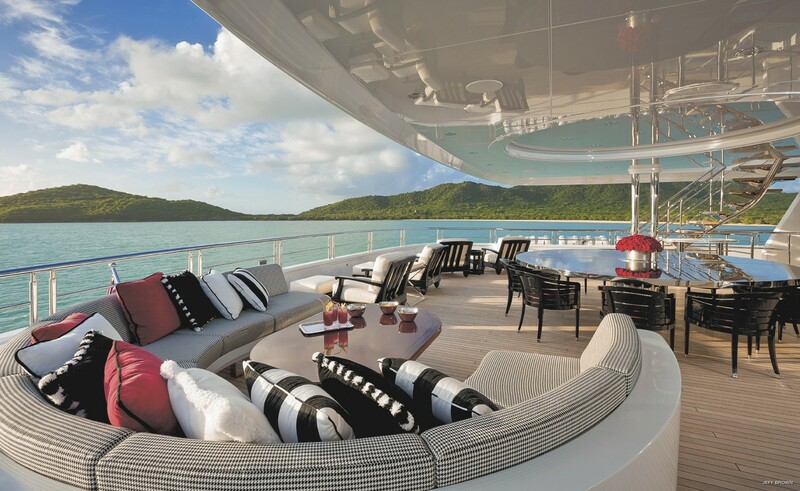 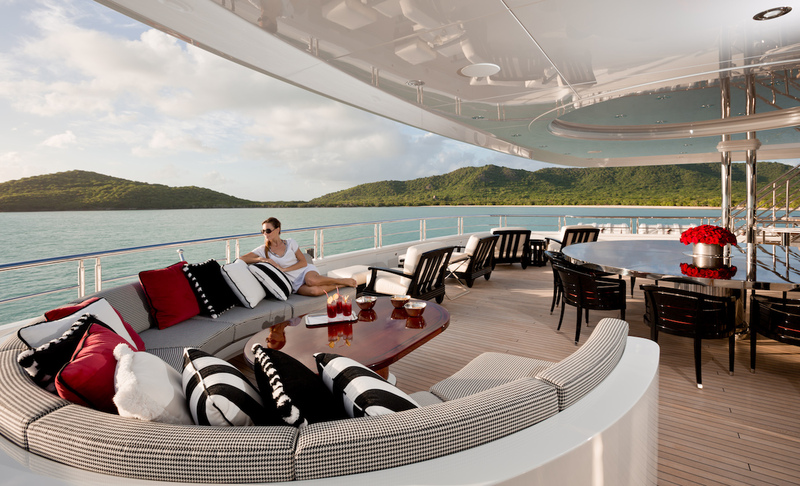 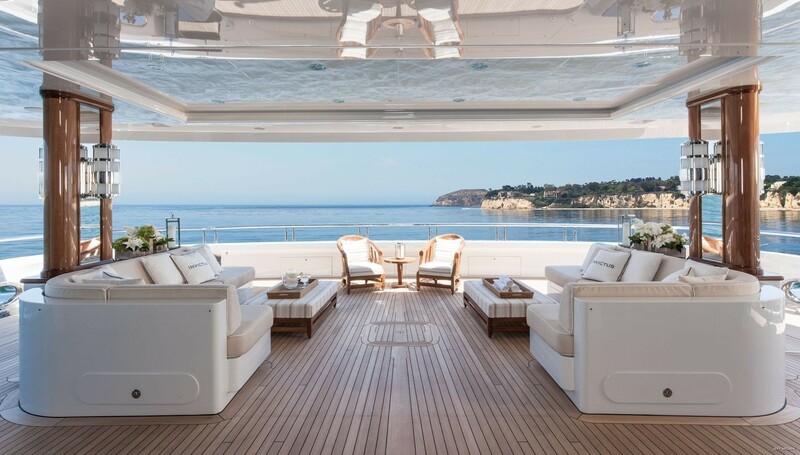 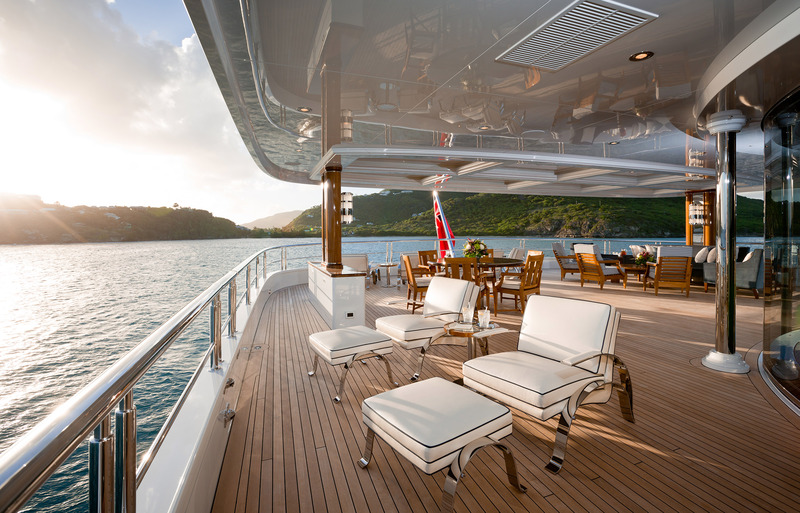 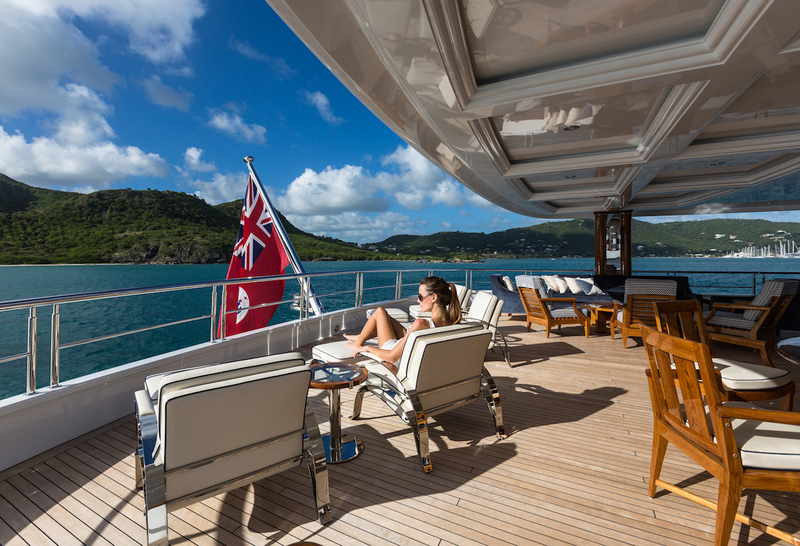 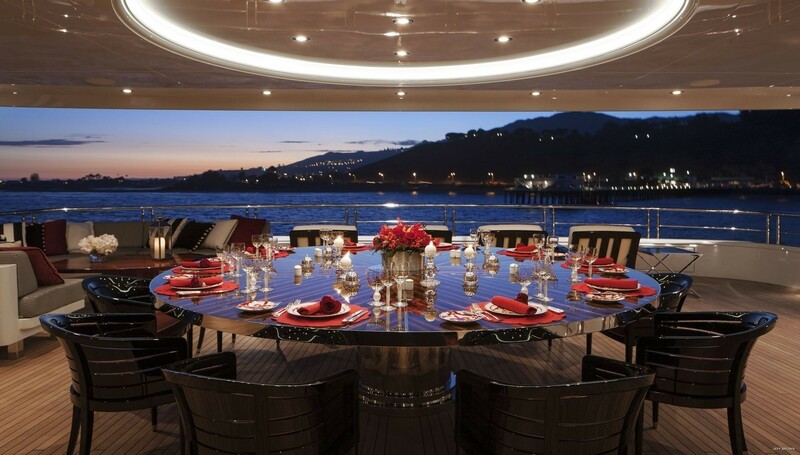 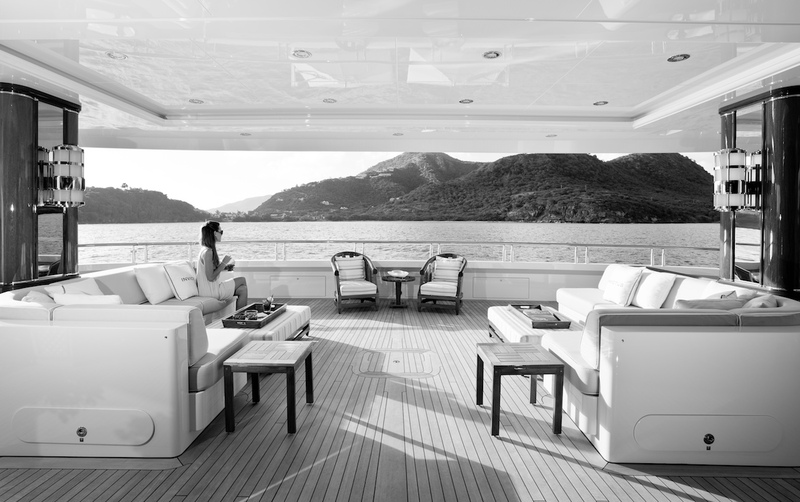 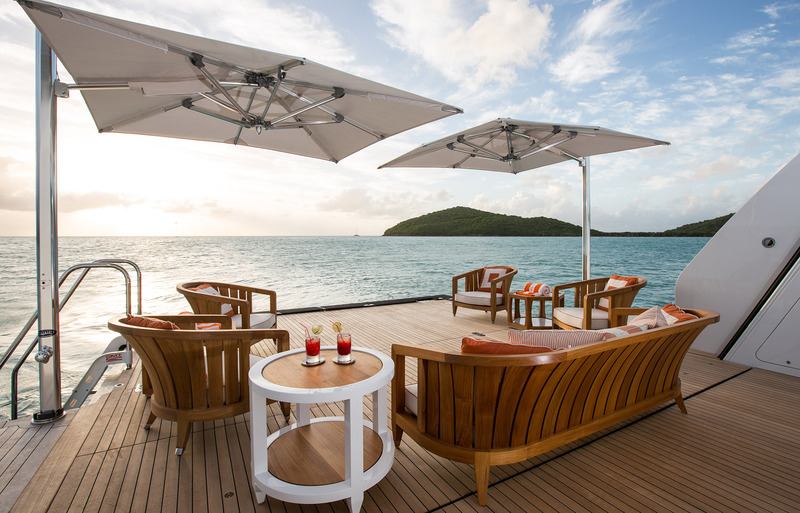 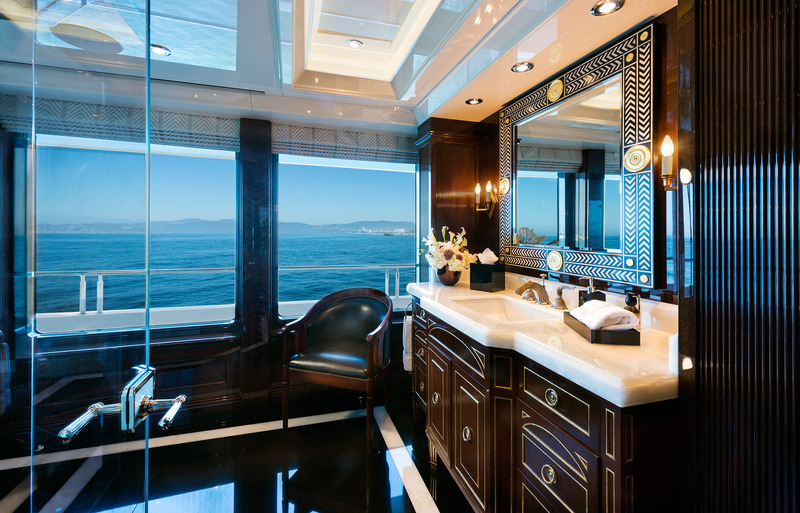 The starboard side provides guests with their own armchair and cocktail table for taking in the views, while in the centre there is an impressive formal dining table to serve 12 and a wet bar. 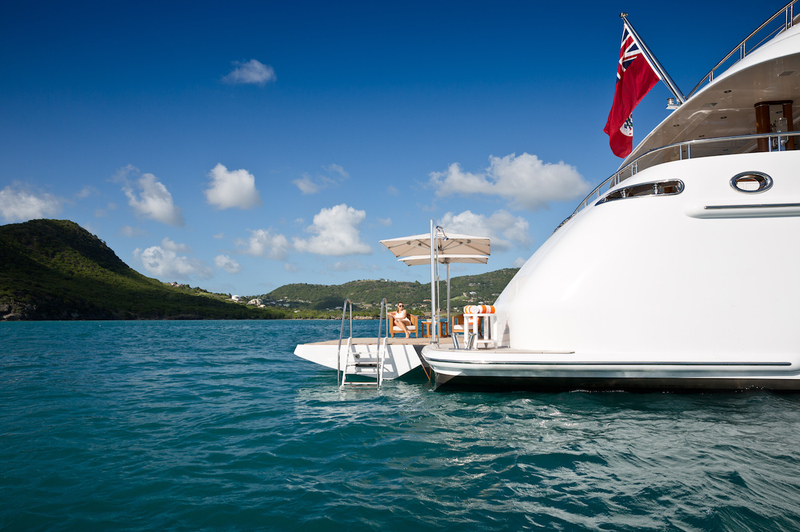 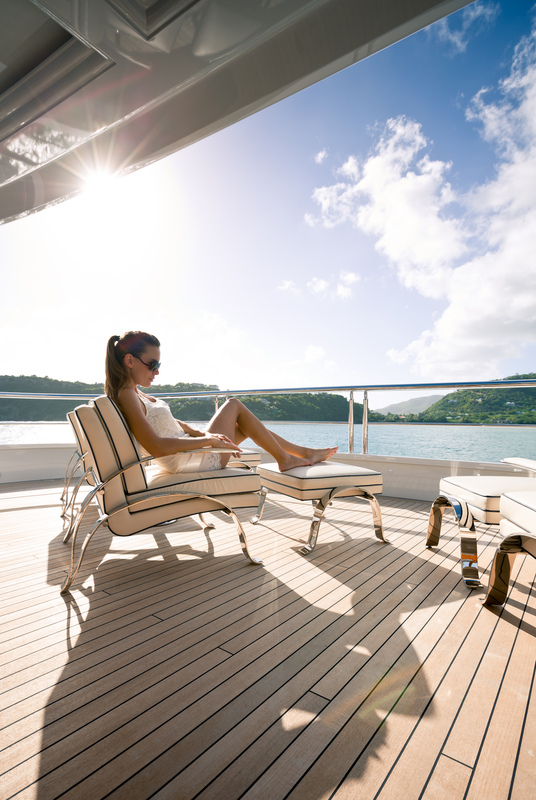 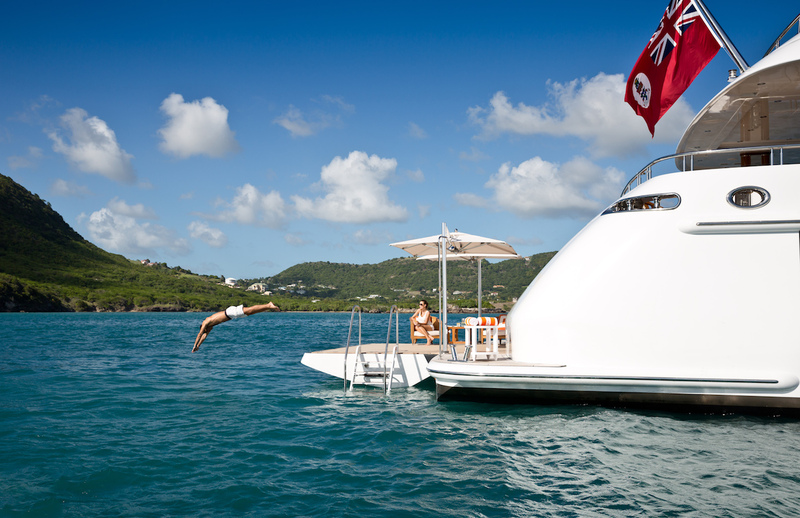 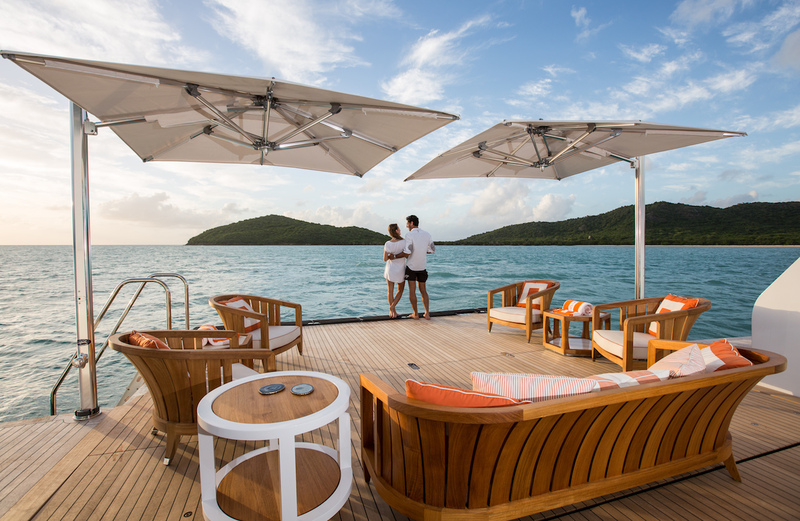 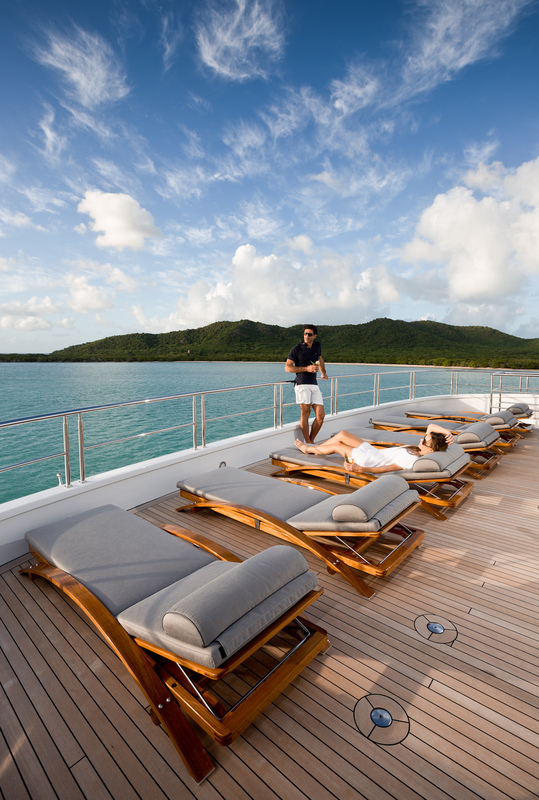 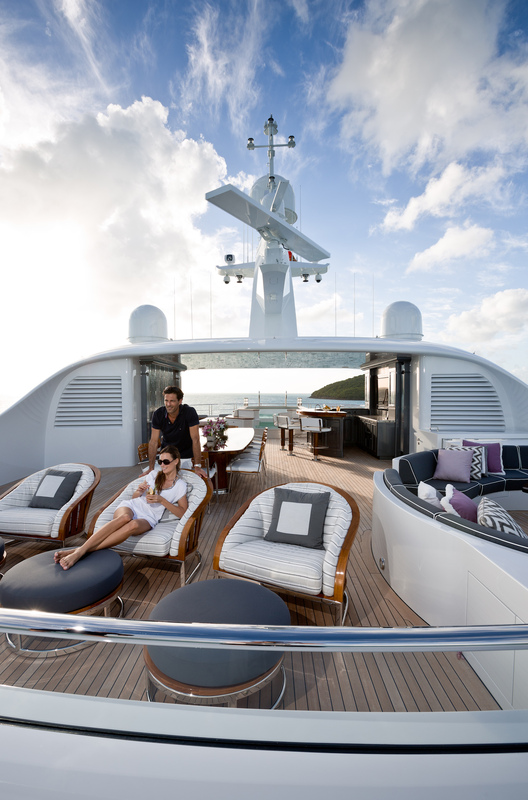 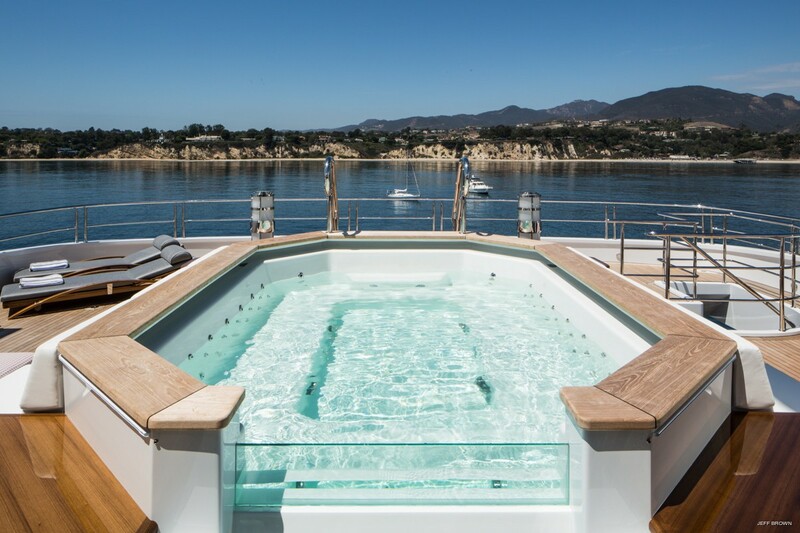 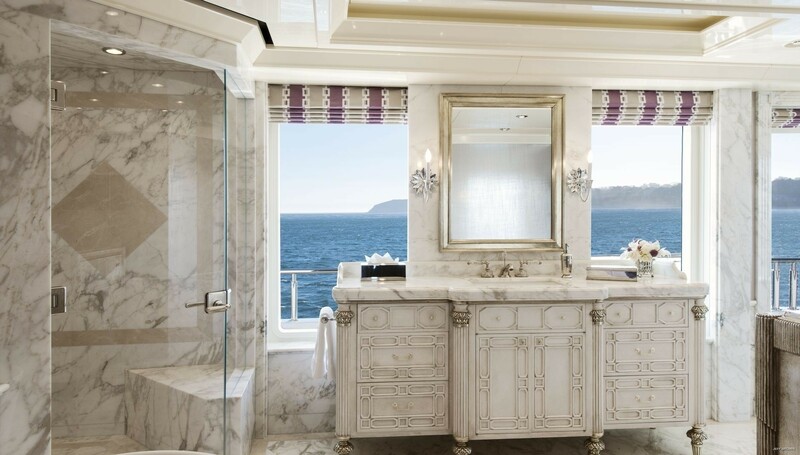 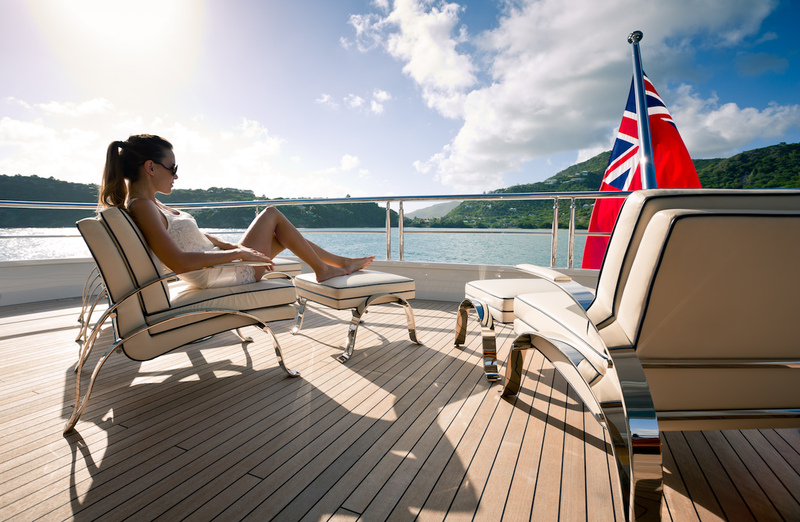 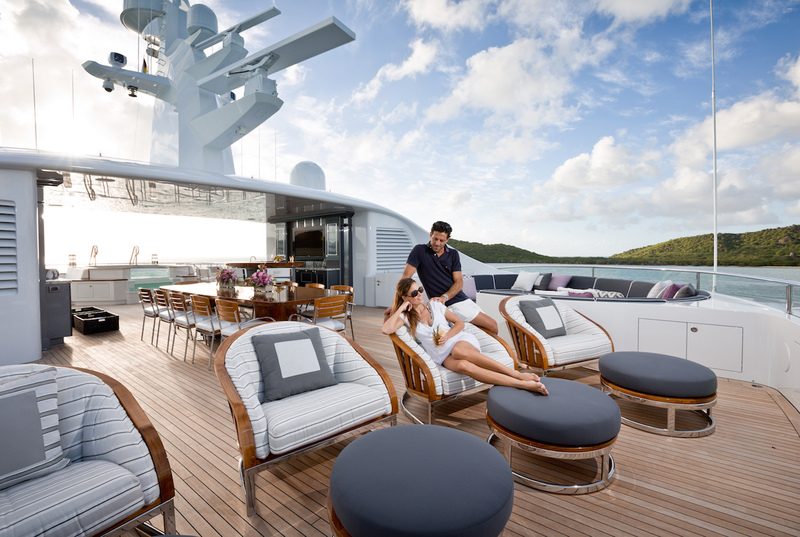 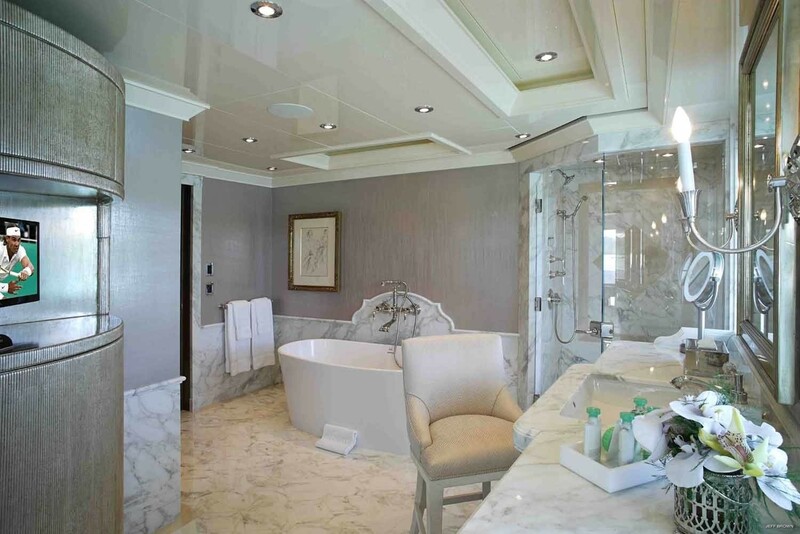 To the aft, there is an expansive central Jacuzzi where guests can chat while easing tired muscles and along the bow, there are plenty of sun loungers for drying off while napping in the sun. 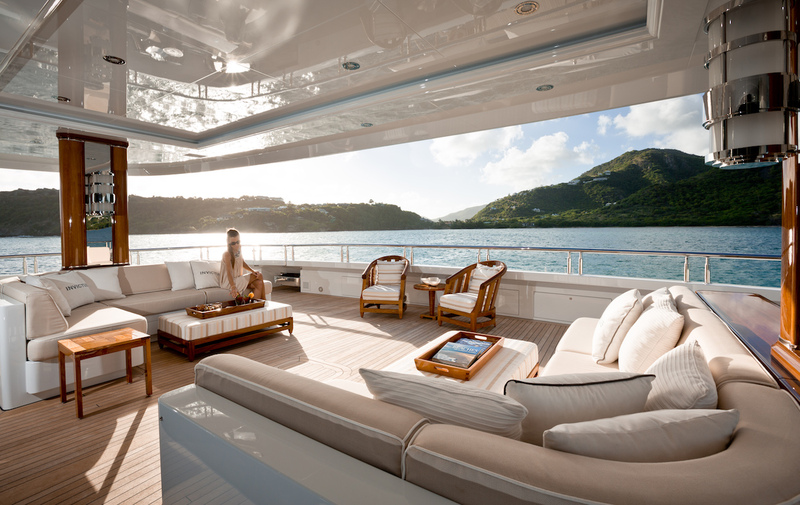 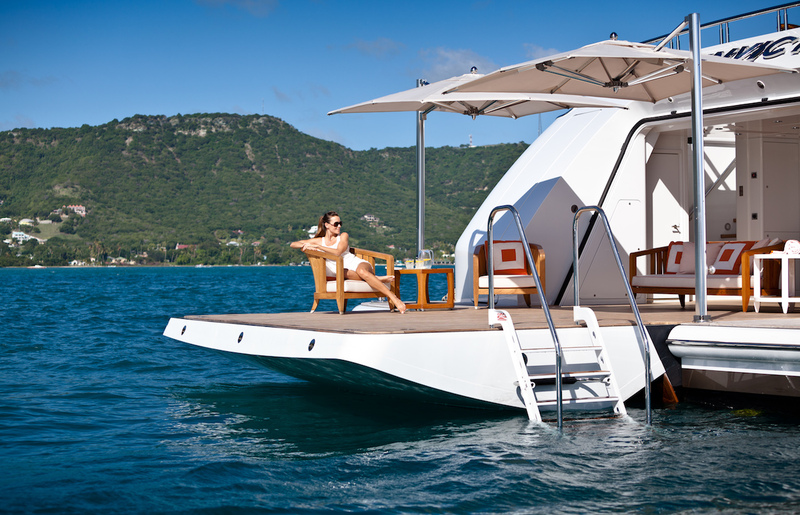 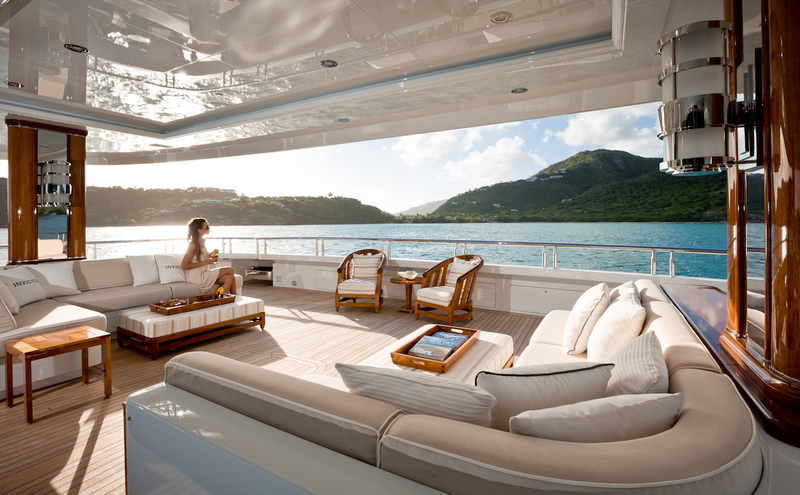 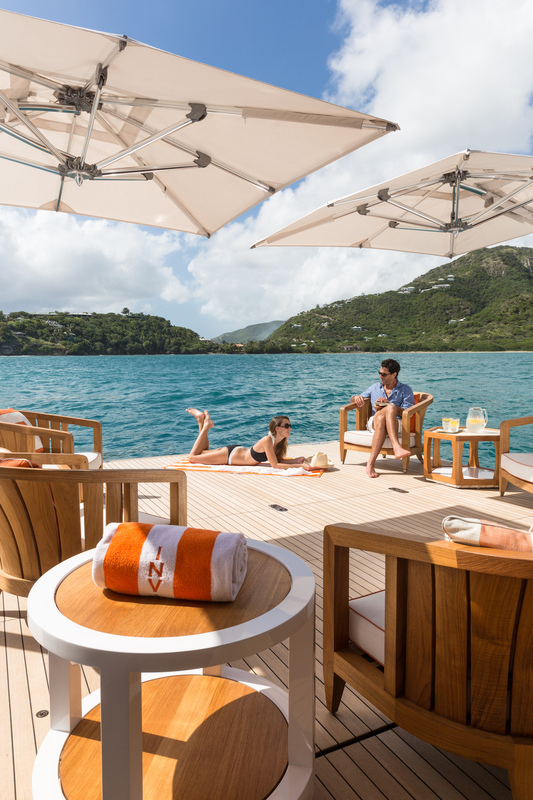 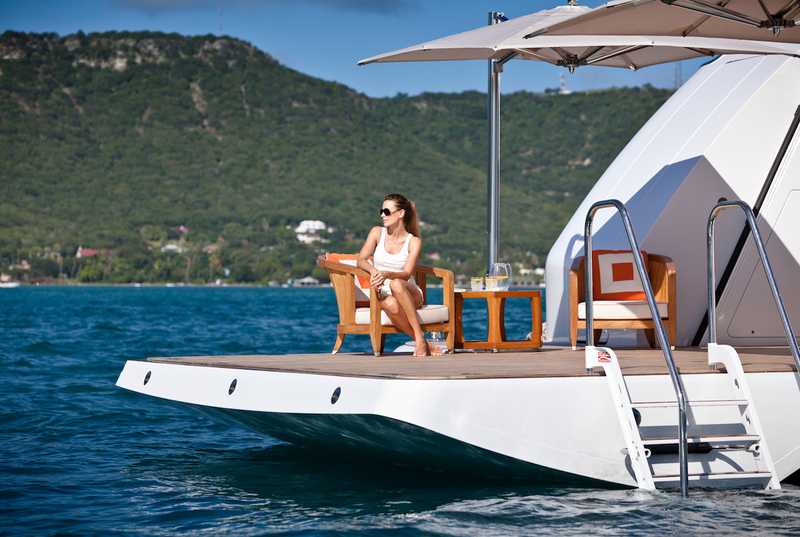 The lower deck layout contains a marvellous beach club fitted with sofas and armchairs as well as sun umbrellas for shaded indoor/outdoor relaxation. 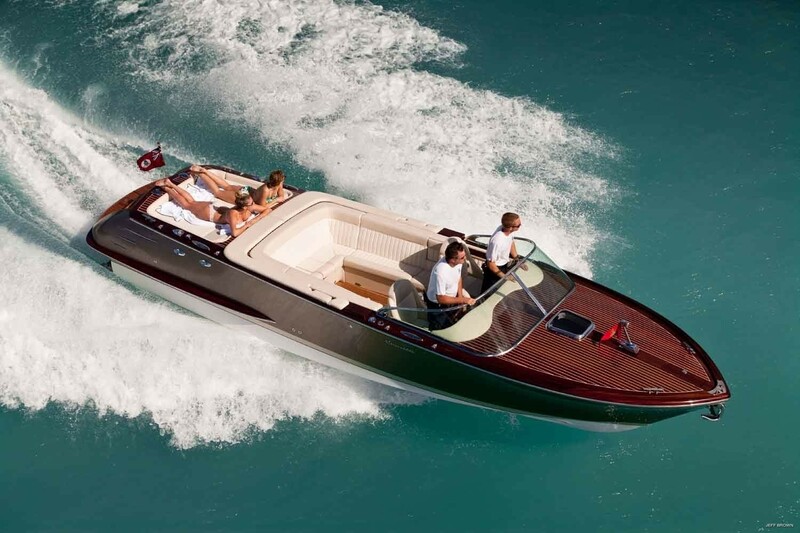 Within, there is a tender garage with side-opening hatches for the launch and retrieval of tenders and water toys. 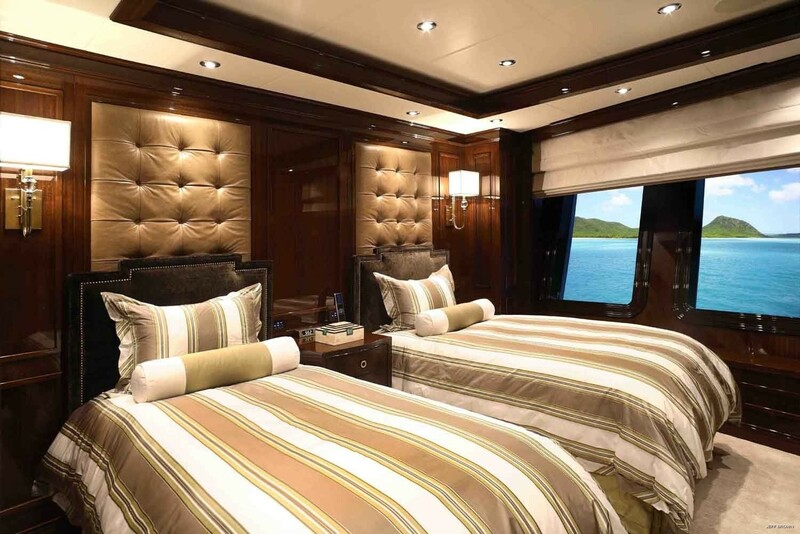 The amidships section holds the guest accommodation, where there are two double cabins, both of which have en-suite facilities. 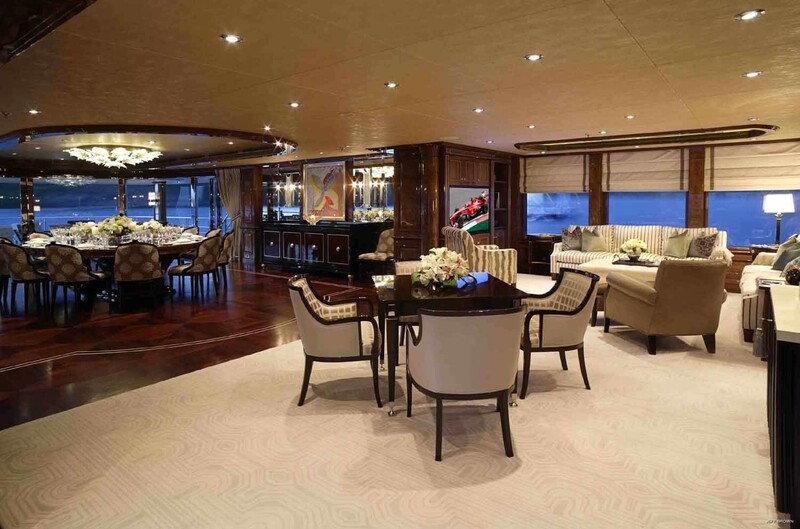 The forward section is dedicated to the crew with accommodation, a mess and a galley as well as a lounge and laundry as well as technical spaces on the tank deck below. 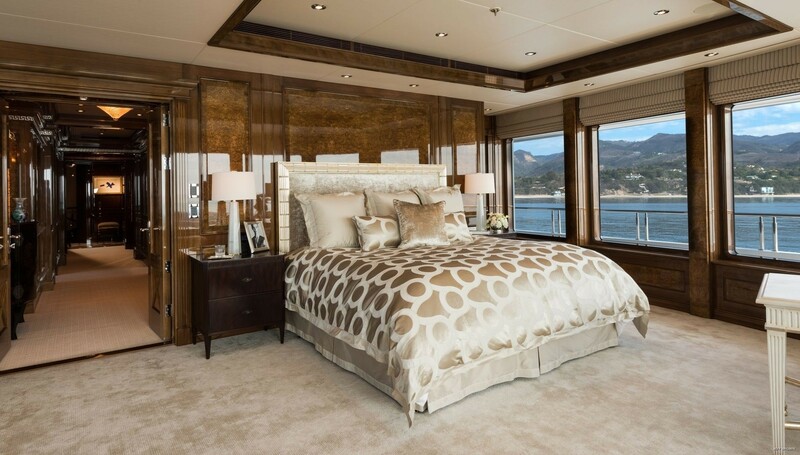 Most of the guest accommodation is located on the main deck, with two twin cabins forward and four double cabins behind. 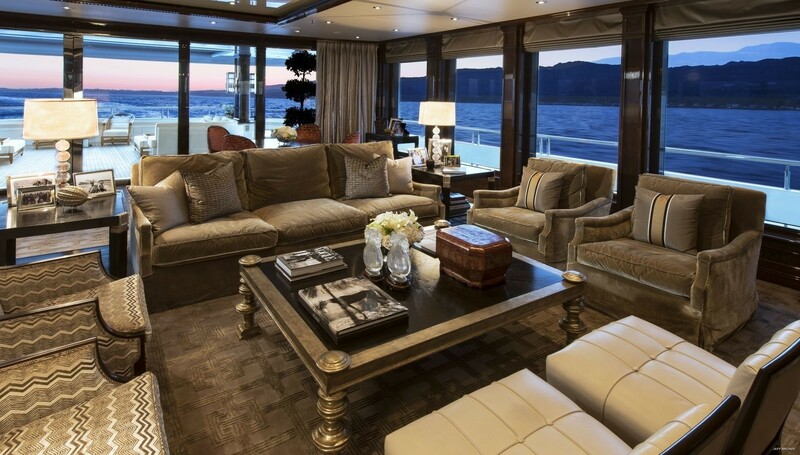 Aft of the main foyer, there is an atmospheric cinema and the main salon styled timelessly with exotic dark wood and Italian marble. 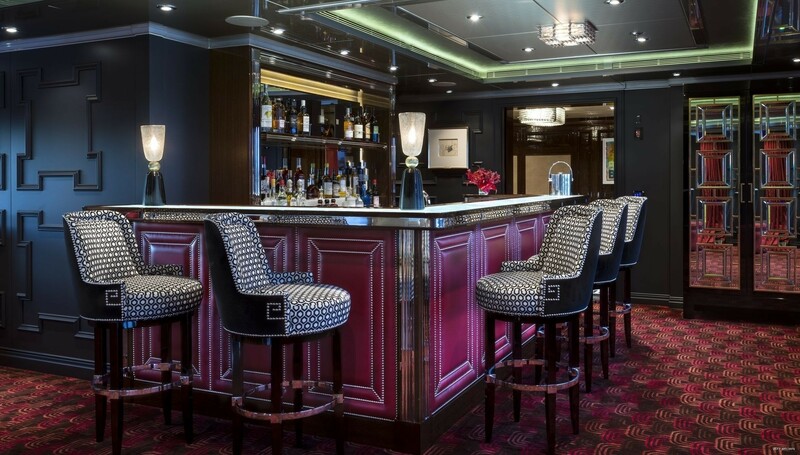 A wet bar is located in the starboard forward corner to serve passengers seated on the comfortable sofa beside the grand piano or at the larger salon where two settees and armchairs are placed around a coffee table. 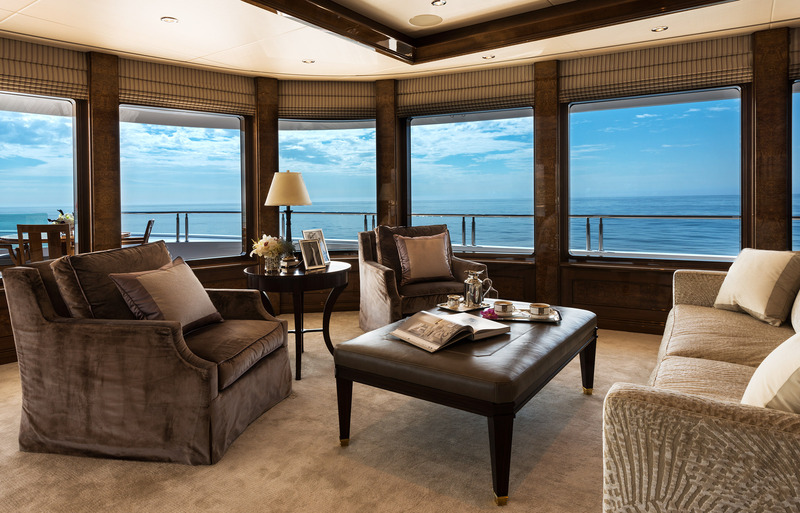 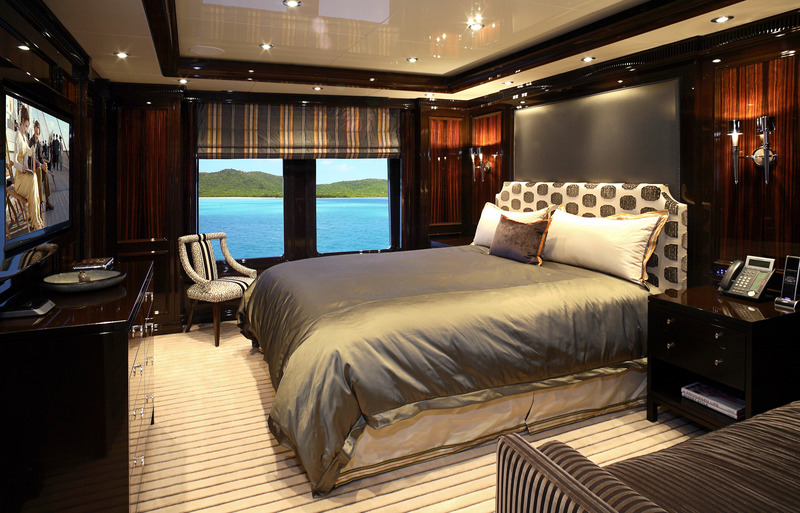 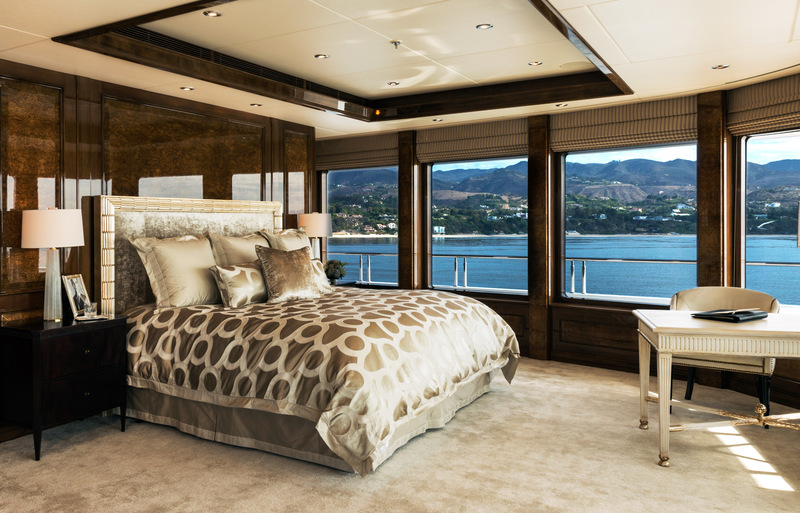 The Owner's deck is fitted with a lavish forward Master suite with a lounge, tow bathroom and two walk-in wardrobes and an office. 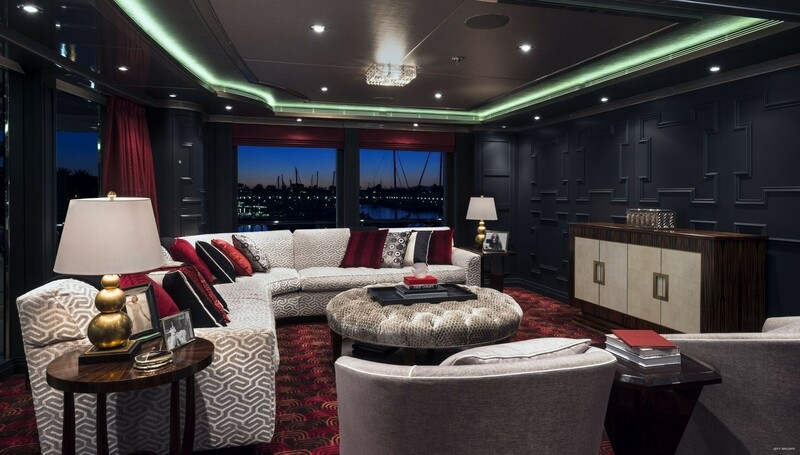 The grand Owner's salon places a curved sofa beside the starboard windows while to port there is a large seating area with sofas and armchairs. 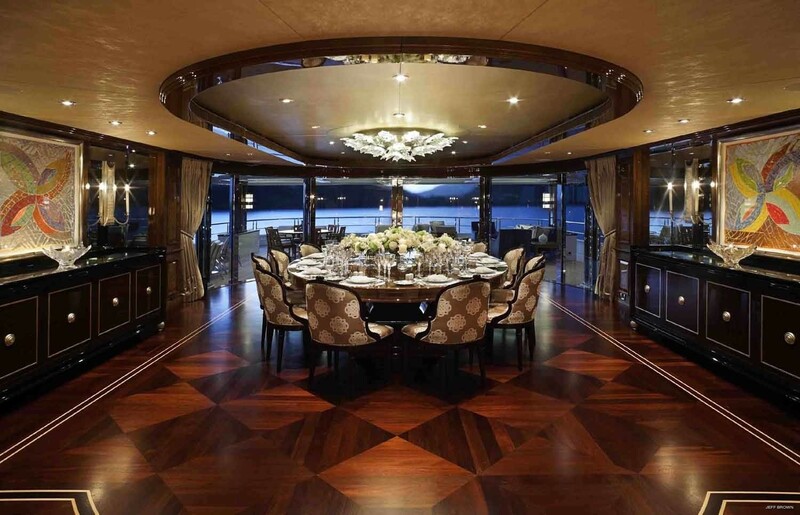 A games table is in the centre of the room and to the aft, there is a large oval formal dining table to seat up to 12 guests. 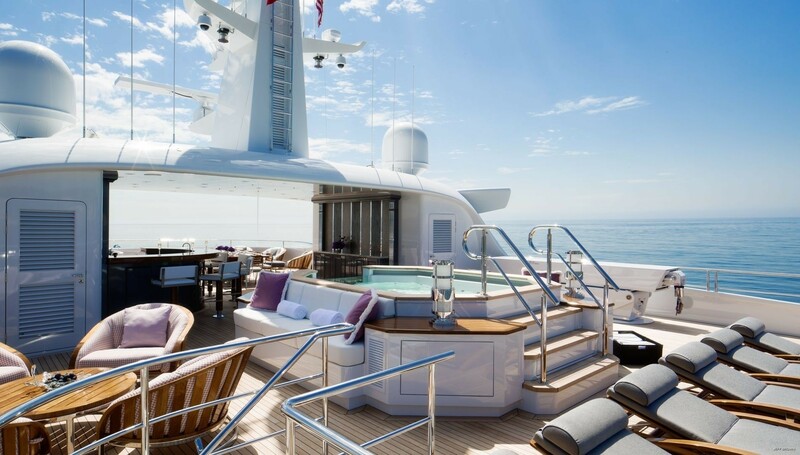 The bridge deck has a large gym and a sky lounge designed for socialising with a calming colour scheme of grey, purple and silver. 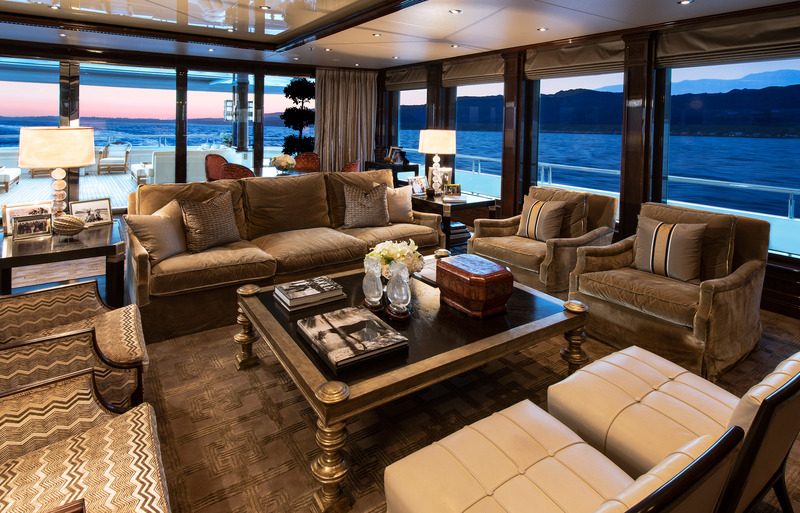 The interior contains an L-shaped sofa, a games table and a bar, all of which can be opened up to the fresh air via large glass sliding doors. 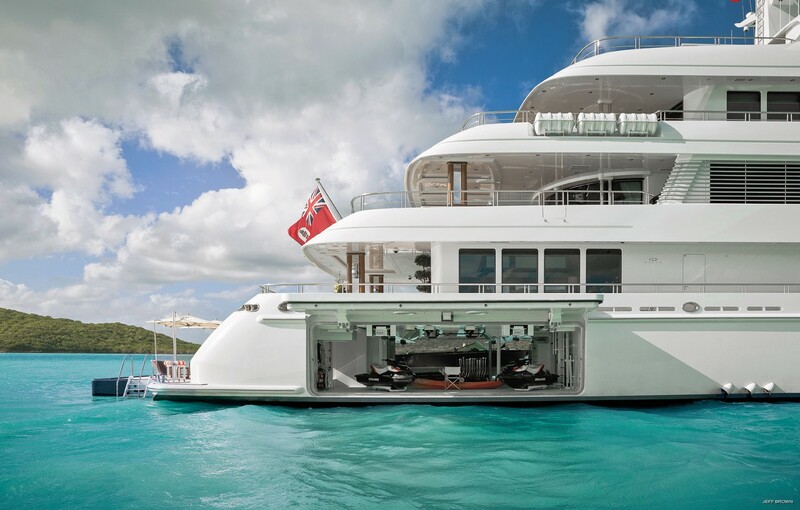 The 66m Custom Motor Yacht by Delta Marine uses Twin Caterpillar engines to produce 2,280 HP for a maximum speed of 16 knots and a cruising speed of 13.5 knots. 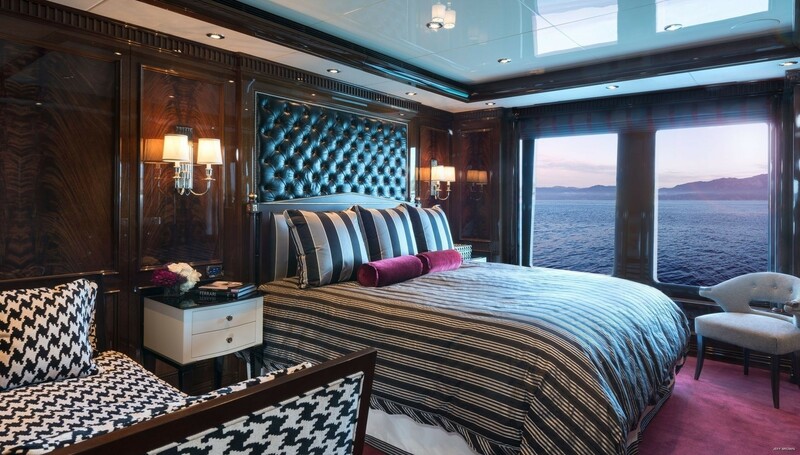 The accommodation sleeps up to 12 guests across 9 en-suite cabins: 1 Master suite, 6 double cabins and 2 twin cabins each with a Pullman berth. 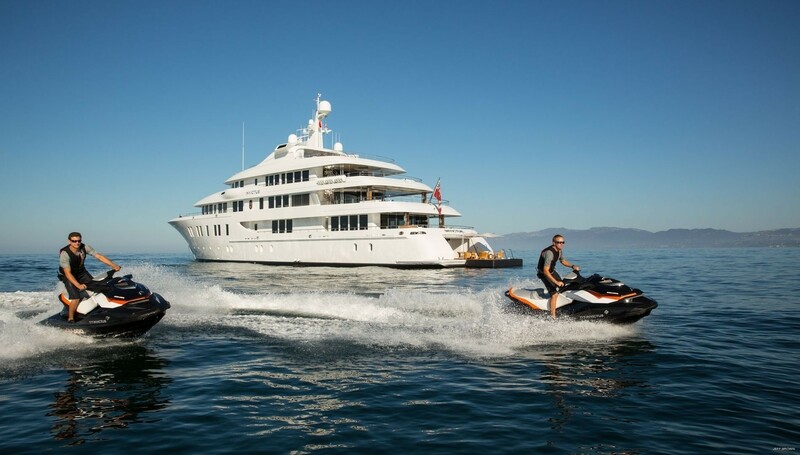 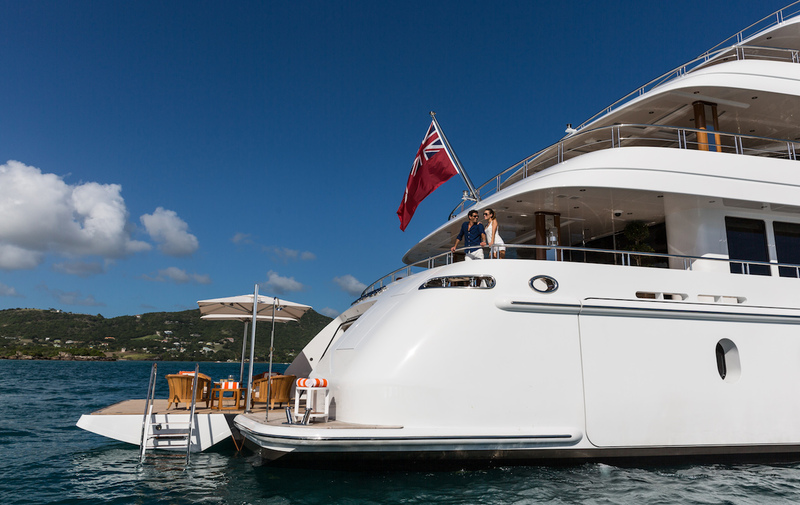 The professional crew of 18 will take care of all guests and visitors throughout their stay on board.